Arnamula is an important tourist place in Kerala and it attractions thousands of visitors every month. This place is more interesting to foreign tourists than local tourists. Aranmula, a small village in Pathanamthitta district of Kerala, has many cultural, religious and artistic specialties, unique to itself. It is interesting and worth your effort to visit this village. It is the place where world famous Aranmula Kannadi (metal mirror) is crafted by specialized artisans. Also, this is the place where 'Aranmula Uthridathi boat race' is conducted every year on Uthridathi Day, as part of the religious festival of the near by 'Parthasarathi' temple. On that day, 'Vallasadhya'' is provided for the people who row the 'Palliyodangal'' (the elegant decorated boats with extra length and extra height at the rear). 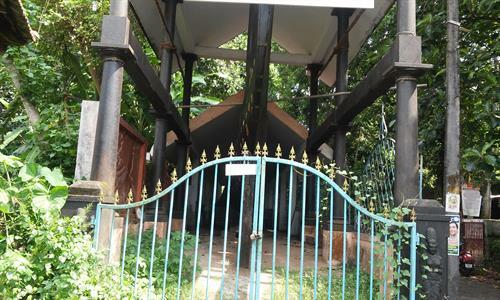 Aranmula Kannadi is in the list of UN heritage property. 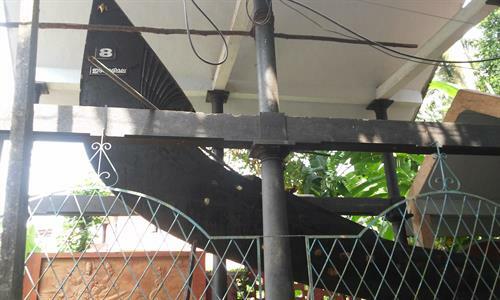 You can reach Aranmula by road or by train. The nearest railway station is 11 km away at Chenganoor. MC Road passing through Chengannoor connects Aranmula with the rest of Kerala by road. 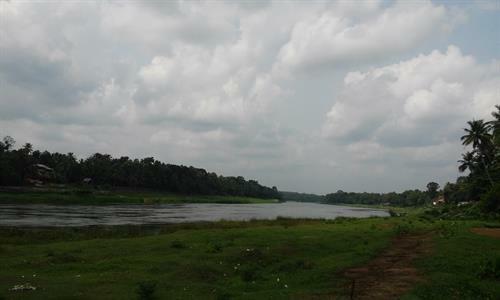 Aranmula is located between Chengannoor and Kozhencherry. An airport is planned at Aranmula and if that materializes, you can easily reach by air as well. But as of now, that plan is in several controversies and it may not materialize anytime in the near future. As of now, the nearest airport is Kochi International Airport, which is about 125km from here. 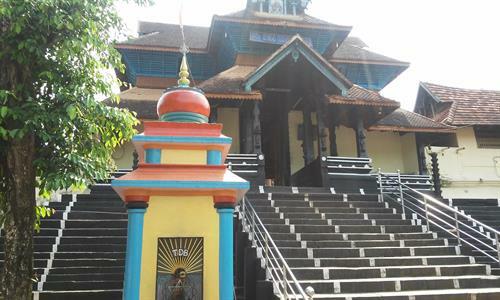 This small town lies by the side of the holly 'Pampa Nathi' (River Pampa) which originates from Sabarimala and many traditions of the locality and the temple have connections to Sabarimala and Sri Ayyappe, the diety at Sabirimala. The Parthasarathy Temple is open through out the year and Pooja is carried out every day. But if you can visit the temple on Uthridathi , a special date as per Malayalam calender, you can attend the Uthrittathi Vallamkali, and buy the famouse 'Aranmula Kannadis''. This is a very ancient temple in the name of Lord Krishna (Sarathi of Arjun-Parthan ). Devotees visit the temple every day in large numbers. Pooja is conducted early in the morning. This temple has a special importance in connection with the Sabirimala pilgrimage. The gold ornaments Sri Ayyappa wears every year is brought to this temple from Pandalam Palace, which is only 10 kms from Aranmula. From Aranmula, these ornaments are taken in traditional procession style by people who carry the ornaments as head load to Sabirimala. During Sabirimala pilgrim season, thousands of people from different parts of the country visit Aranmula. Another unique attraction at Aranmula village is the annual boat race. This boat race is not simply a sports event but a religious one connected to the rituals of Parthasarathy Temple. The main event is the racing of ''Palliyodangal'' which are unique to Aranmula. These Palliyodangal are different from those we see at other boat racing locations of Kerala. They are designed and built by specialized carpenters who carry this work as a family tradition and generally the elder son of the carpenters family carry on the work. These boats are owned by different villages around Aranmula, which lies by the side of river Pampa. The boatmen who ply them belong to the particular village and winning the race gives the village a coveted position for the rest of the year. Palliyodangals never participate in boat races in any other locations as they are special offerings to Lord Krishna. They are not built for speed but in a very ornamental style. Identifying the tree to build the boat, cutting down of the tree, bringing the tree to the Kara or location of the village which sponsors the same, starting the work - all are conducted as per tradition and involving all the people of the Kara (village). The first time the boat is taken to river Pampa is another major event. 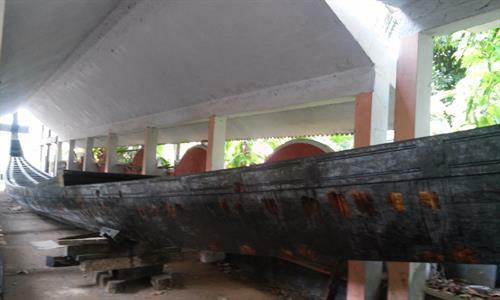 When the boat race and connected events are over, these boats are pushed back to land and kept in boat houses (vallapura) which are specially designed for the same. They are taken to the river only at the next Uthridathi season. Special flock songs are used to be sung at the time of boat race, which creates rhythm for plying of songs by the people on the boats. It is a sight to see more than hundred boats moving in unison and to the rhythm of the songs. Another unique tradition of Aranmula is Vallasadhya, which is given by devotees to the boatsmen who ply them and to their friends. The sponsor also invitees his friends and relatives for the 'sadhya' and usually there could be around thousand people who attend the same. Another feature of the sadhya is that the host should never deny any traditional Kerala vegetable dish that the guests asks for. This is a tradition that can cause trouble to the host so the host ask for the guests to bear with him this time and ask for their cooperation before the beginning of the sadhya. The Vallasadhya lasts for another one month after the boat race. This programme has become very popular these days and so many business men and filmstars sponsor vallasadhya as an offering to Lord Krishna. By the middle of July every year the offering of Vallasadhya starts and it lasts for over two months. All these days Aranmula village is in a festive mood. 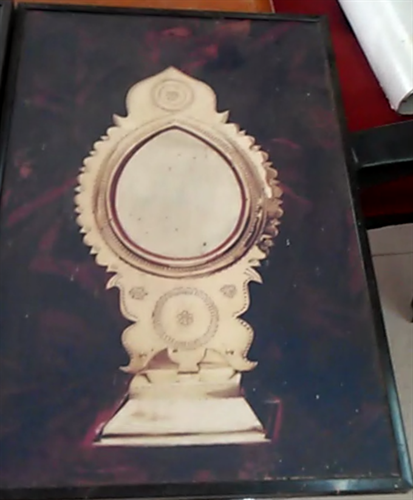 Aranmula Kannadi is the most unique art work from Aranmula. It is said that rural artisans from Andhra Pradesh migrated from their home village and came over and settled in Aranmula many centuries back and they never went back. Their descendants carry on the work of molding these metal mirrors even now. It so happens that these mirrors are not seen or molded anywhere else in this country. 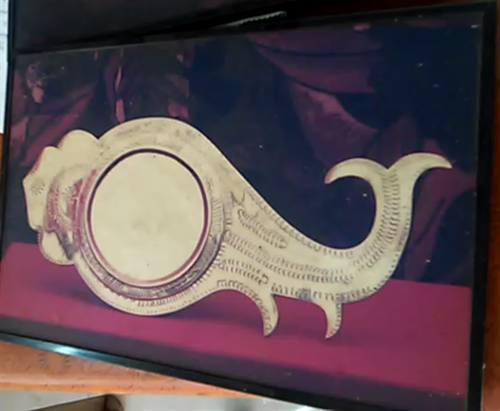 Aranmula Kannadi is a unique work of art, molded in metal components. These artisans keep the process of making of these mirrors a secret. The quality of these mirrors are superb and the face of the mirror look just like that of a glass mirror with excellent reflective features. Aranmula Kannadi is made in different shapes but ''Valkannadi'' is the most famous of the lot. 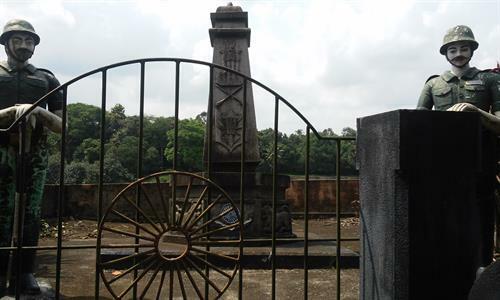 UNESCO has identified Aranmula Kannadi as one among man's most coveted heritage property and Aranmula ranks among UNESCO's Global Heritage village. Aranmula comes under the Cultural Tourism programme jointly sponsored by Union Ministry of Tourism and UNDP. "Vasthuvidhya Gurukulam" with its office at Aranmula is the implementing partner for the project. 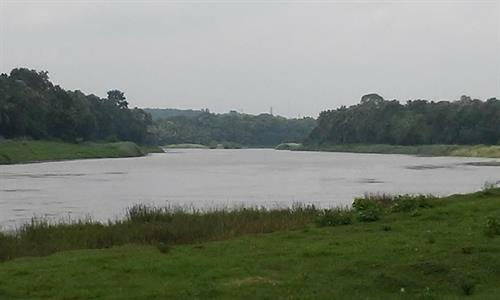 Yet another unique project centered at Aranmula. It is a special program of the Govt. of Kerala to preserve Kerala's immense knowledge in the field of designing and building houses to the rhythm of nature. Vasthuvidhya is an ancient science which takes into account all the forces of nature and all the man's work to go in unison with these forces. It ensures good health to the residents, abundant sun rays, wind and water supply. Those who studies for the course are expected to live in the premises itself along with the teachers giving the school the name 'Gurukulam'. This is a major project that is coming up adjacent to Aranmula village. The sponsors are some business groups. A part of the work for the same are over but now the same has come to a stand still because of the objections of nature lover groups and of the Kshethra Samrakshna Samathi. As of now we are not sure whether the project will materialize or not. Another attraction of Aranmula is, in and around the village, there are many schools for teaching Indian classical dance and music. It is a special attractionn of Aranmula that you can see many Europeans walking in the streets of Aranmula just like the natives. They live in this village for months together attending dance classes and living as part of Aranmula village. 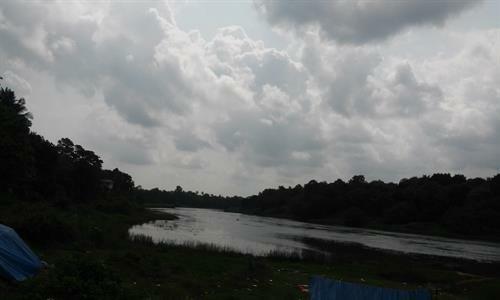 Take some time off to visit Aranmula which is blessed by the Holy River Pampa, which flows by the side of the village. ** The Sree Krishna Handicrafts Centre of Mr.K.P.Asokan (Mob ;9947386945, 8086677887, e-mail skhcrafts@gmail.com) has promised to honour clients who give reference to this website a discount of 10 – 15% for Aranmula kannadis purchased from them priced above Rs 2000/-. You can ask for a discount for lower priced items as well. The shop is at Ikara Jn., opposit to Central Bank of India. This is the best presentation on Aranmula yet. 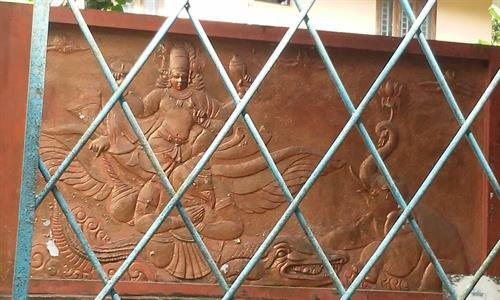 I am hearing for the first time Aranmula's connection to vasthuvidhya, schools for classical dance etc. and the background of palliyodangal, and vallasadhya, though I have visited the place many times on my pilgrimage to Sabirimala. Short & very informative for travelers like me. As I searched regarding this I think there may not be a small village like this that UN & its subsidiaries giving that much importance in India. Its very interesting thing about the special mirror & like to have one. I planned this year to visit Lakeshadeep but I think there may be a change in plan.